Far Yeast Saigon Passion is a 4.5% sour from Far Yeast Brewing Company, based in Yamanashi, Japan. It’s part of their collaborative range with Heart of Darkness, based in Vietnam’s Ho Chi Minh City, being the partner this time. Two versions were made, with the Japanese version using Belgian Ardennes yeast, and the Vietnamese version using German Ale yeast. Passion fruit juice was used in the making of Far Yeast Saigon Passion as well as Amarillo, Mosaic, and Citra hops too. Far Yeast Saigon Passion poured out a light yellow colour with barely any head on top – what head there was faded before I had the chance to take the picture. It had a distinctly sour aroma to it – not an off aroma by any means but definitely sour. The passion fruit came through only once Far Yeast Saigon Passion had warmed up but there was also a strong funky yeast aroma too off the beer that hid a faint biscuit malt base too. The initial mouthfeel was sticky but then the sour flavour kicked in. It’s strong enough for a person new to sours may be put off by it, but for people experienced with sours, it comes across as tame. The passion fruit juice was noticeable when chilled but much nicer once it had warmed up. Everything was well-balanced in Far Yeast Saigon Passion and it was refreshing after a long day in the sun – perfect for the hot climates of Vietnam and Japan. 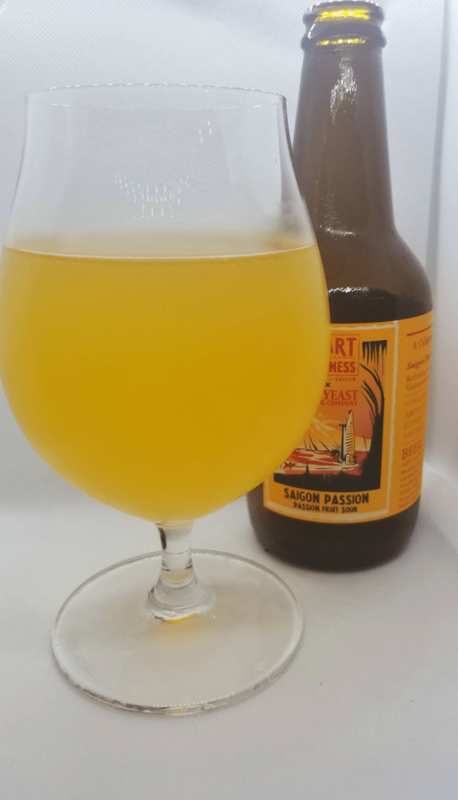 Far Yeast Saigon Passion is a nice gentle introduction for people wanting to get into sours, but people who know their sours should give it a miss.